Product #5821 | SKU JAE45007 | 0.0 (no ratings yet) Thanks for your rating! 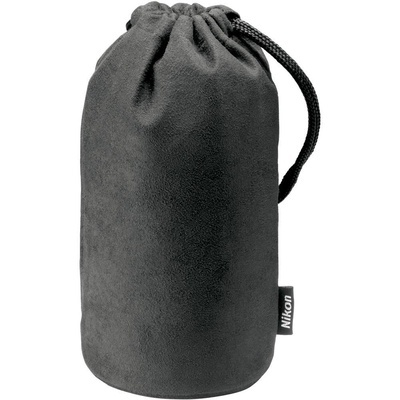 The Nikon CL-1022 Flexible Lens Pouch is a replacement for the pouch supplied with a Nikon AF VR Zoom Nikkor 70-300mm f/4.5-5.6G IF-ED AF-S autofocus lens. Compatible with Nikon AF VR Zoom Nikkor 70-300mm f/4.5-5.6G IF-ED AF-S autofocus lens. Box Dimensions (LxWxH) 9.5 x 5.0 x 1.0"